Have you heard of Melted Cheese? This course is originally from Swiss and nothing special until an Influencer posted a video on Facebook in 2017. The restaurant where the video was taken is overbooked ever since with an increase of over one million dollars in its turnover in a short time. This is the power of social media. 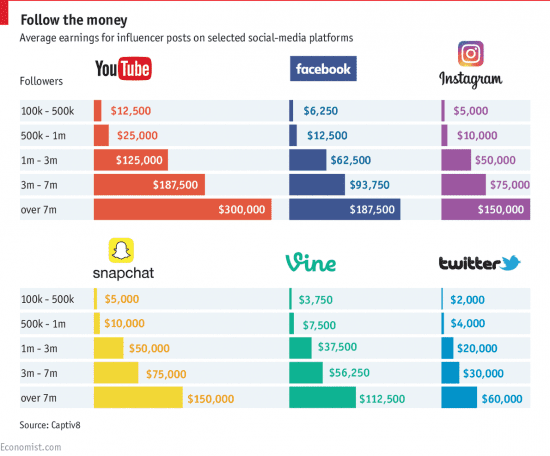 According to Captiv8, an influencer marketing tool and service provider, pricing of posts on YouTube, Facebook, Instagram, Snapchat, Vine, and Twitter vary as shown below. Influencers can be categorized into 5 tiers by the number of followers. If you want to buy influencer content, you should know the CPM of each tier. 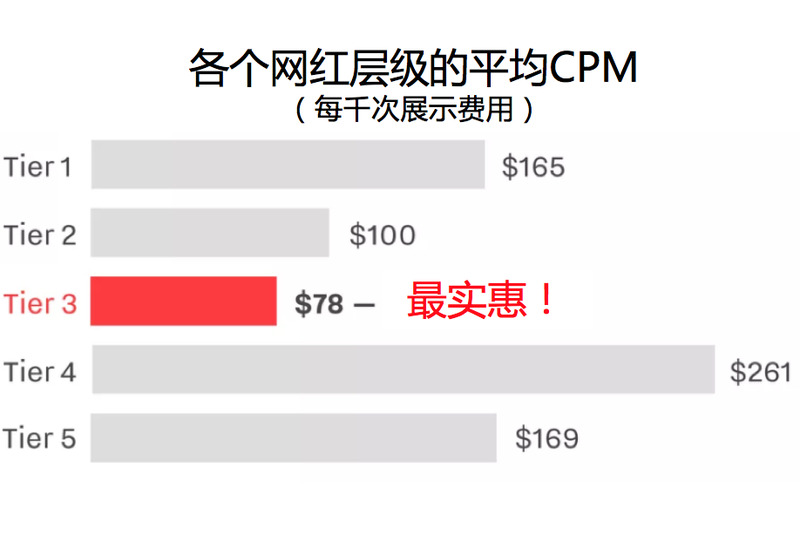 CPM refers to the cost per a thousand impression. According to the data shown in the image below, you might wonder why Tier 3 influencer has the best cost performance. Tier 1 has a large number of followers. However, different followers have different tastes. Consequently, the content could not be liked by all of them. Compared to the brand-created content, 51% of the influencer content is outperformed (12% greatly outperformed plus 39% somewhat outperformed). In terms of the reach and impact, the influencer content can reach and impact more even after you spend money on it. 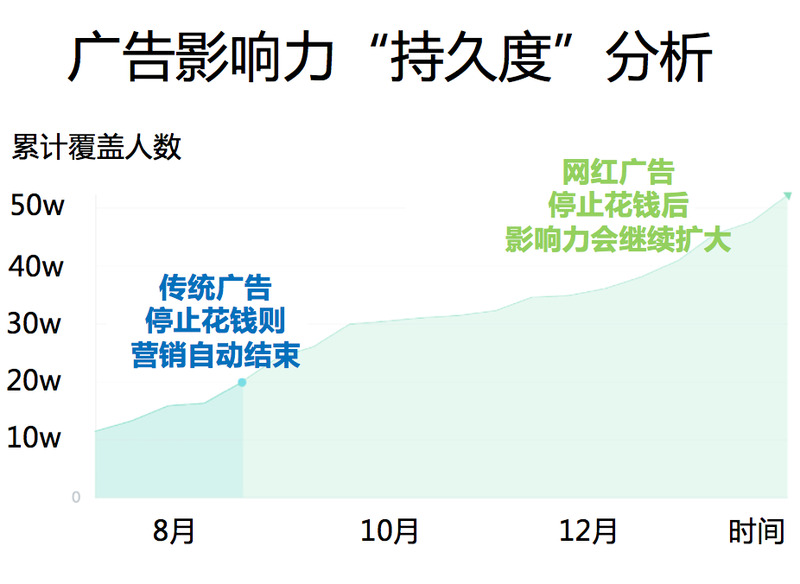 The x-axis is Time and the y-axis is the number of audiences. You spend the same on both the influencer content and the brand-created content in August. When you stop spending any in the next month, the brand-created content will stop reaching more audience. Meanwhile, the influencer content will continue to reach and impact more audience until the end of the year. Isn't it obvious that the ROI of influencer content is more than that of the brand-created content?